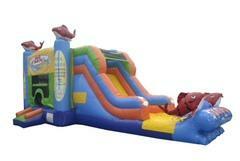 Are you looking Bounce Houses with Slides in Pittsburgh, PA? Look no further! 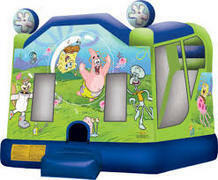 The party professionals at United Inflatable Rides has everything you need to make your next party or event a success. 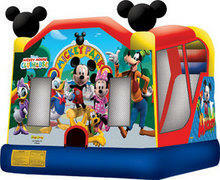 Combo bouncers have all the fun of a bounce house with even more inflatable fun! 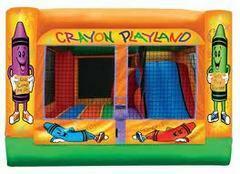 Check out the great themed bounce houses with slides. We have Mickey, Elsa, Anna, and all your fun friends. 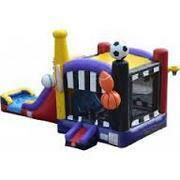 Our inflatable game rentals are the perfect addition to your jumper rental! 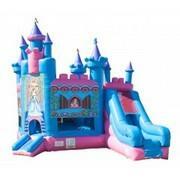 United Inflatable Rides is a full-service party rental company. 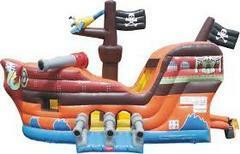 The price includes delivery, set-up, directions, and take down. Travel fees for sites thirty miles outside Irwin exist. Rental time excludes setup, as we arrive 1-3 hours early, because our clients deserve the full rental time. We'll call to confirm a delivery window the day before your event. For extra info about our delivery area, please read more. 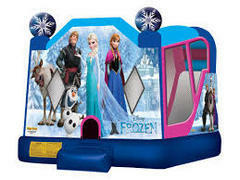 United Inflatable Rides is rated top notch in customer service with the best variety of combo bouncers or anything you could possibly need to complete your party rental! We've trained our entire crew to work efficiently, and our business stands out for our efforts to work safely and maximize customer satisfaction! 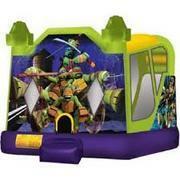 You can trust your jump house rental is always clean, because we sanitize after each rental. We are fully licensened and insured in the Pittburgh area. 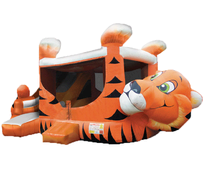 United Inflatble Rides has been in business for years, and we are proud to continue to serve you for all your party rental needs! 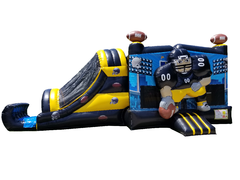 United Inflatable Rides rents Combo Bouncers, Bounce Houses, Dunk Tanks, Dry Slides, Water Slides, Jumpers, and Obstacle Courses in the Pittsburgh, PA area. Transport fees may apply outside the Pittsburgh area. 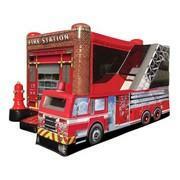 Give us a call at 412-453-5050 (or 412-427-6895) or Click here get a quote online.